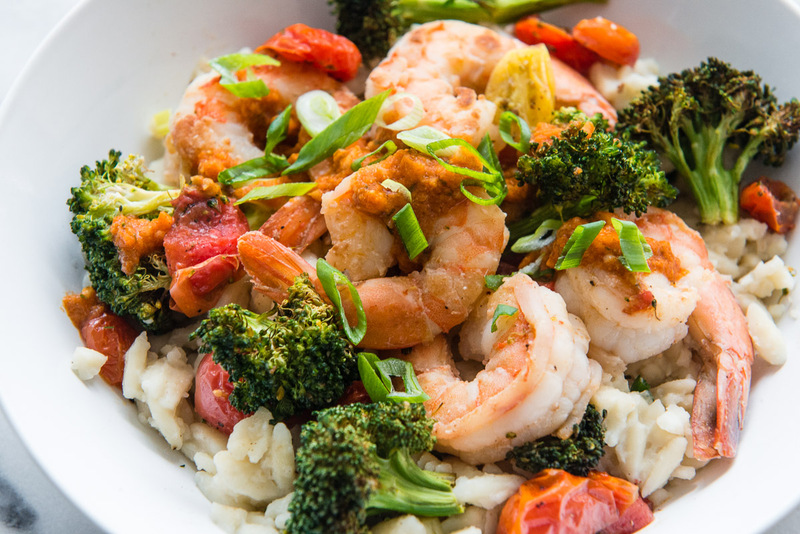 Shrimp, mushrooms and cherry tomatoes are roasted in a savory garlic-tomato conserva and served over orzo pasta, all finished with a parsley-tarragon herb butter. House-made lemon pepper seasoning brings bright and toasty fall flavor to roasted chicken quarters. 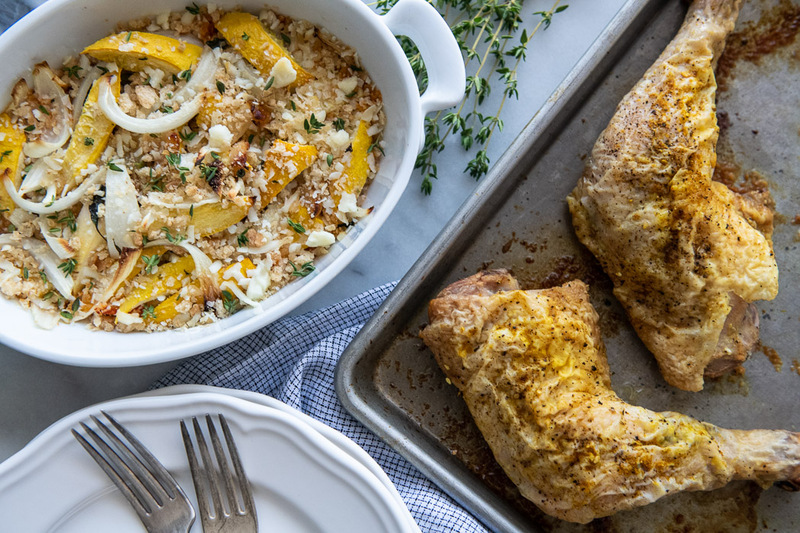 Served on the side is a baked autumnal squash gratin, topped with cheesy gluten-free breadcrumbs. 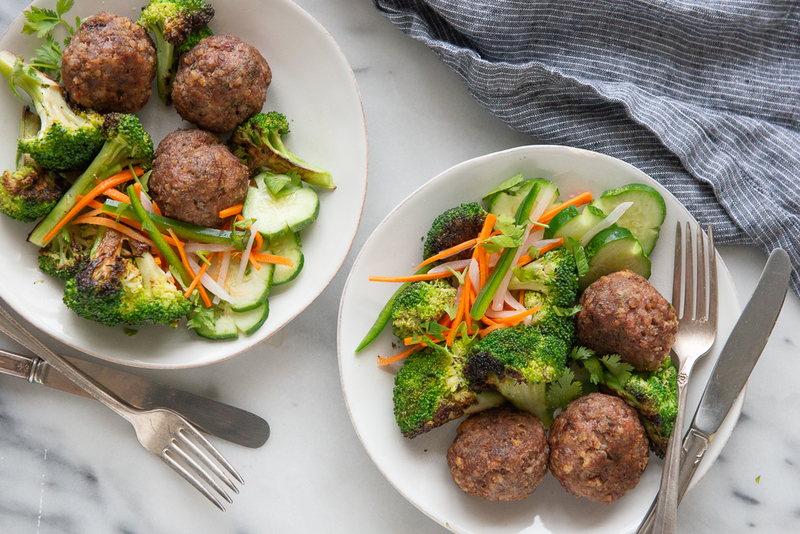 Pork meatballs, broccoli, and carrots are stir fried in a sesame-ginger sauce and topped with crisp banh mi pickles for a Whole30- and family-friendly meal. Vegan-friendly! 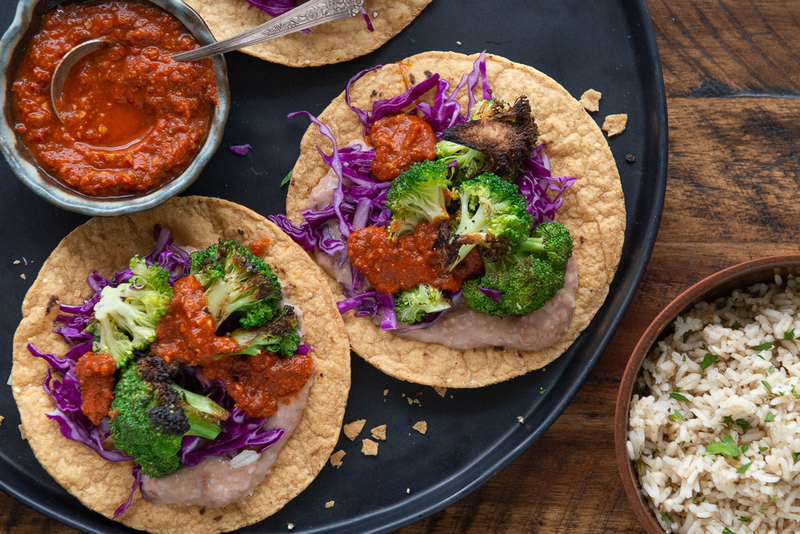 Broccoli and crunchy cabbage get a dollop of slow-roasted smoky guajillo sauce, all topping refried pinto beans on an El Milagro tostada. Served with a side of cilantro rice.